Cortical Songs is a work in four movements by Nick Ryan and John Matthias for string ensemble and solo violin in which the orchestra is partially controlled by a tiny computer 'brain'. It's being performed live at Rise of the Machines #2 on 18 March in Village Underground, Shoreditch. 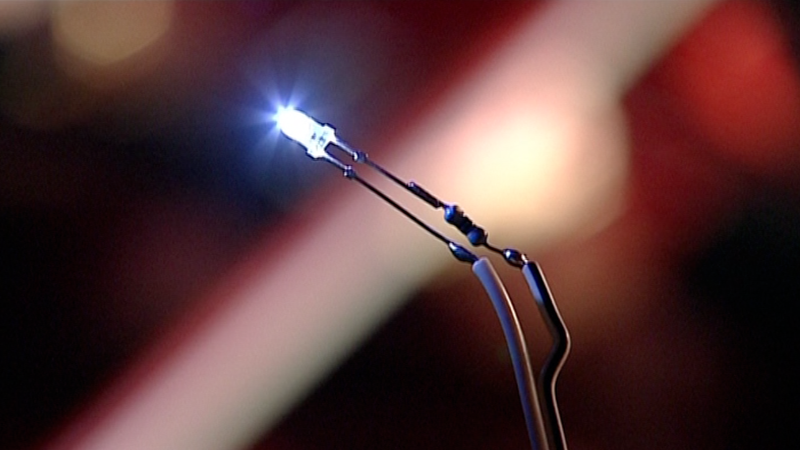 Each music stand is fitted with a small LED. Players respond to a network of tiny flashing lights fitted to each player's music stand, that are connected to a software model of a mammalian cortex consisting of 24 neurons. In performance, 'firing' events of individual neurons within the computer model, represented as single flashes of light, are interpreted as music through the score and by the players. We released the piece in 2009 with remixes by Thom Yorke (Radiohead), Simon Tong (Gorillaz / The Good The Bad & The Queen), John Maclean (The Beta Band / The Aliens), Gabriel Prokofiev, Jem Finer and others. 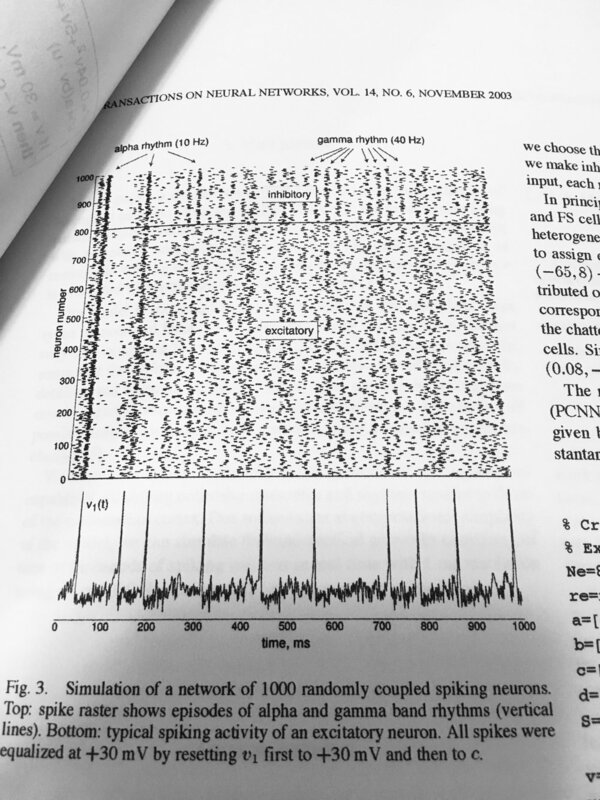 Cortical Songs uses the simple Izhikevich Model to mathematically create a simple network of firing neurons. Cortical Songs was shortlisted for the 12th (US) Independent Music Awards. The album was voted No.5 in the top 10 Classical Albums of 2009 by Timeout Chicago, described by the New York Times as “moody and lovely”and by NME as "...One of the year's most refreshing listens". Thom Yorke chose to open his recent DJ set on XFM with his own remix of Cortical Songs. Come and hear Cortical Songs live in London on 18 March as part of Convergence 2018! A firing event on one of the neurons causes a dot to appear on this graph: In cortical songs, this causes a light to flash on the corresponding musician's music.